Are you feeling stuck in your business? Confused about what to do or focus on in your business? Do you want to start a business but don’t know what steps to take to move things along? Do you feel overwhelmed trying to do too many things at the same time? You are not alone. Every business goes through different stages. Each stage has its challenges, that’s why it’s important to know what stage you are in. You don’t want to spend a lot of time spinning your wheels or focusing on the wrong activities at the wrong time. So if you’re feeling overwhelmed wondering what to focus on in your business, then this post should give you some clarity. This is where it all begins. You’ve caught the entrepreneurship bug and you’re keen to become your own boss. But things are not going as smoothly as you’d like. You’ve read countless blog posts and articles about how to start a business, but you’re still struggling to take action. If you’re uncertain on what to focus on, I have some tips for you. Unfortunately, many women don’t get past this stage. They get overwhelmed and frustrated because they lack a road map or they can’t find the funding they need to launch their business. Others simply can’t find the time to work on their business because they work 9-5 and/or they are busy with family responsibilities. 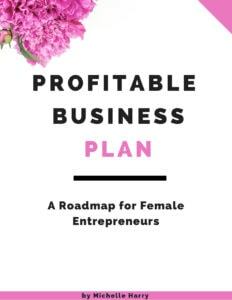 Once you have done all the steps in the planning stage and you feel confident about your idea, then it’s time to launch your business.Some of your key activities during this stage include: learning how to provide value for your customers, asking for feedback, making the necessary changes to your products or services so you can better serve your clients or customers. It’s normal to feel overwhelmed and start wondering if you can make it. You may have some doubts and fear about your decision to become an entrepreneur, but it is important to press on and believe in yourself. Trust your purpose and vision.The most important tasks during this stage are marketing and selling. You will need to create marketing and sales strategies for your business. You should also be learning all you can about entrepreneurship. This is a good time to invest in some more tools and resources because you have a better idea of your needs, and the tools you need to run your business smoothly. You should start creating systems for your business and tracking your finances and everything else in your business. 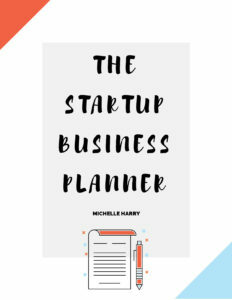 If you need help with this stage, check out this blog post 5 Books for new business owners for some ideas to help you grow your business. During this stage, there are days when you still question what you got yourself into, but things would’ve started settling down after the initial chaos of the start-up stage. You should be getting comfortable running your business, and your business should have started generating consistent revenue and profit. The demands on your time would have increased, and you may find yourself juggling a lot of activities. The biggest challenges are trying to stay organized, and finding the time to do all the things you need to do for your business. If you are a solo business owner, this is when you start thinking of hiring a virtual assistant or some other staff and delegating some of your tasks. At this point, you either hate being an entrepreneur or you love the challenge even if you feel overwhelmed. Many small businesses fail in the first year, and a lot don’t make it to their 5th anniversary.So if you made it this far, you’re a rock star in my books. This is a good place to be in your business. At this stage you’ve got your systems in place, your business is running smoothly, and you probably don’t have to work 100 hours a week because you’ve got other people helping you. Hopefully, your business is looking good, you’re making a profit and you’re an established brand in your market or industry. During the growth stage, you start thinking of how to scale up or how to add more products to your catalog or offer more services. Maybe you’d like to take on more clients, increase your prices or add complementary products or services to your business. You’re ready to take it to the next level! What you need to watch out for is taking on too much at once. Be careful to not over-extend yourself. Planning and research are the keys to your success. Set realistic goals and be careful that you don’t compromise the quality of your current products or services. Get advice from business coaches and experts if you need it. This is a good time to invest in those non-essentials and fancy gadgets you’ve desired for so long (assuming you haven’t splurged on them). This is also a good time to assess what is and isn’t working in your business. You may need to abandon some marketing and sales strategies that are not working, look for new suppliers or vendors for your business, create new systems etc. Of course you should already have done all this in the preceding stages, but now you can make bigger changes to improve your business. So there you have it. 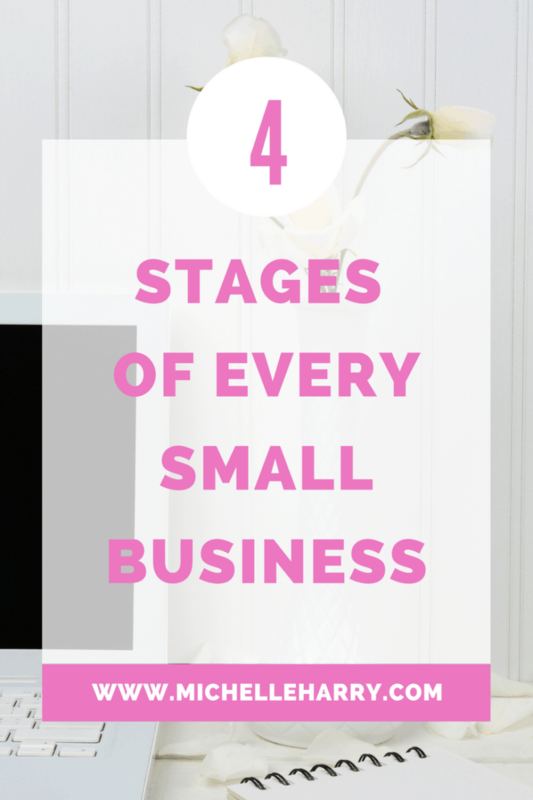 The four stages of every small business. Knowing what stage you are in means you can focus on the things that you need now and ignore everything else. Are you in the planning or start-up stage of your business, or are you further along in the process? Are you struggling to get to the next level? Do you know what you should focus on in your business? Leave a comment or suggestion below.